Push your gaming and TV experience to a new level with this AV receiver serving up high-resolution 4K video and 5.1 HD surround sound. Your home theatre system and gaming set up will get a super boost with the Pioneer 105W 5.1 Channel AV Receiver with Ultra HD 4K Pass Through. 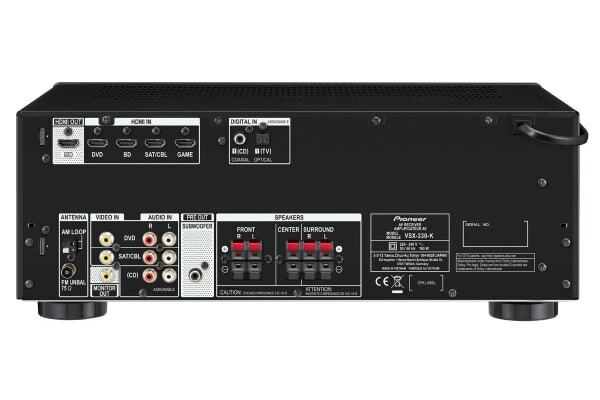 When you get this AV receiver home, you’ll be assured of amazing HD sound and even ultra high-resolution 4K video. Simply select one of the high definition Dolby or DTS advanced surround modes and get immersed into your favourite movies like never before! The Pioneer 105W 5.1 Channel AV Receiver has an easily accessible front USB terminal that not only plays your favourite music tracks in all kinds of formats, it can also charge connected devices! You can also take advantage of its Advanced Sound Retriever to restore compressed audio to CD quality output. With energy-efficient ECO Modes, this receiver lets you control and conserve energy usage. There’s an ECO mode suited for all the different playing modes like CDs, audio streaming, internet radio, and even for movies and live concerts! With 4K Pass Through, this receiver is ready to introduce you to the next generation of HD videos – 4K ultra-high resolution videos! 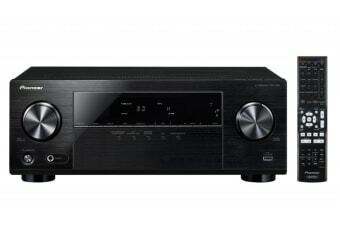 You can now enjoy uncompressed, high-definition multichannel audio from a variety of sources including Blu-ray discs and more because the latest Dolby TrueHD and DTS-HD Master Audio surround soundtracks are supported by this receiver.